Please excuse me if this is not an appropriate topic for this forum or if it has been covered already. I'm new to this genre and have been completely seduced by these books. I've got to give them a rest for a while and need to find something else to read. EIY will be devoured all too soon and then there will be the long wait for #4. Anyway, I've only been a member here for a couple of weeks, but reading everyone's comments, which are funny, literate, clever, and full of interesting background knowledge, makes me feel like recommendations from you all would really be worth having - as opposed to the kind of (to use Gideon's phrase) "spank bank" p*** with cringe inducing dialogue I've seen listed elsewhere. Just a place where people could add new titles we could investigate would be super. Try reading Sylvia's Georgian Series...Â Ask for it, Passion for the Game, Passion for him and Don't tempt me. I've read Ask For It, Pride And Passion, The Stranger I Married, and they are all WONDERFUL. You shouldn't miss them!! Definitely Seven Years to Sin! I too have become a fan (obsessed LOL) with this new (If you can call it that) romance Genre.Â I have really enjoyed Raine Miller's Blackstone Series, the third book was released recently.Â Emily Snow's book Devoured, there are more coming out in that series, there is a prequel to Devoured called All Over You.Â H M Ward writes short little books but there are many in each series.Â Â Sydney Landon is great, there areÂ four books in her Danver's series and it starts with Weekends Required.Â Ruth Cardello has a good series also, the fifth was recently released.Â I hope that helps. A friend gave me Claim Me and Release Me by J. Kenner. They follow a Gideva type couple. They are 2/3 of The Stark Trilogy - last book due out July 30. They were better than most versions of difficult hot billionaire and wounded heroine I have tried - IMO about equal in quality to On Dublin Street which I liked. Don't mean to sound so lukewarm - it's just nothing compares to Crossfire. I have been reading this forum for the past few months and have loved everyone's comments and thoughts, but this is my first time posting myself. I really love SD's historical books and of course the crossfire series. 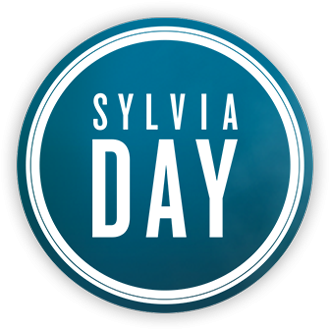 I love the writing of SD and can see the differences between a great writer like Sylvia and the thoughtful stories she writes compared to some of the other books out there. Thanks GiGi I was just going back to make a list myself.Â This is great. I've just read Jasinda Wilder Falling into You followed by Falling into Us which was good . 2. Samantha Young: Standalone, somehow interwined! 3. Diana Gabaldon: historical, contemporary, romance, suspense, time travel, Scotish and American History, great love! Dear Ladies, have fun READING them all or some! Welcome to the forum andÂ I hope you enjoy yourself. Just finished On Dublin Street- Samantha Young. Recommend it. Read it twice in a week. Lol. I liked it too and wouldn't have minded a sequel, but I didn't much care for the woman that the sequel was to be based on. If you read it and like it, please share. Thanks. I am enjoying myself, love the different perspectives and ideas put forward. 2. The Agreement (out now installment 1-8): an ongoing series .... about another brother but I didnÃ‚Â´t read them! Her writing style is great, the story lines interesting and this author can describe very well the spark they flying between two people before it comes to any further sexual contacts. This I do like and appreciate! !